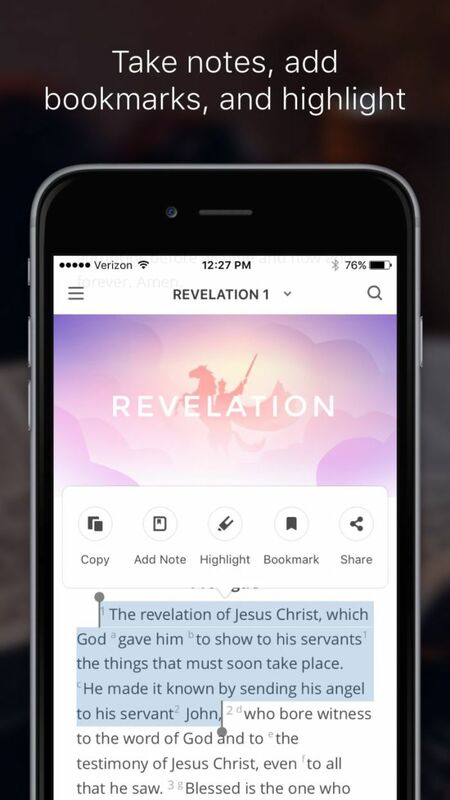 Users of Bible apps are no longer limited to highlighting entire passages when trying to track a single word throughout the Bible, say makers of the new gloBible app. The app's creators believe gloBible will have an edge over the competition since users can highlight and color code single words for study and cross reference, as well as write in margins, return to previous passages, and refer to footnotes and pop-up menus. "Churches can create their own plans around a sermon series that they're on and even have their own set of branded themes," said gloBible co-founder Eden Chen during an interview with The Christian Post. Without having to create their own Bible app, "churches can get their congregation involved by having [for example] a branded Saddleback Bible, so they can go along with a reading plan that's part of their sermon series," added Chen, who was recently named on Forbes magazine's 30 Under 30 List. Chen also has plans for the app to accommodate themes for children. The gloBible app was funded using a Kickstarter campaign and garnered 1,700 backers. It became the second-highest funded campaign on the site in 2015. Chen contrasted gloBible against the YouVersion Bible App, saying that his is more powerful and offers greater functionality. "They [YouVersion] have so many translations (1,500 versions of the Bible in over 1,000 languages) that the easiest way for them to handle that [highlighting specific words] is to have users select an entire passage, versus just selecting words," he told CP. "We [gloBible] thought that because you have the ability to highlight based off of color, there's no point in highlighting different colors if you can't highlight by word, because why would you highlight different passages different colors? The whole point of the colors is so that (for example) you can highlight all the times that Jesus' name is mentioned. You highlight all of Jesus' name a certain color." The YouVersion Bible app reached 250 million downloads last month after being launched in 2007 as part of the Life.Church website. Within five years, the YouVersion app was downloaded 100 million times. In December 2015, YouVersion hit the 200 million download milestone. Chen told CP that the response to gloBible has been overwhelming. "Almost everyone that I've shown the app to, and that has used it for an hour, has commented, 'Wow, this is a really great experience. I want to continue using this,'" he said. The app's co-founder said they're always looking for ways to enhance their product. "If people like some of the things that we're doing, we hope that maybe that'll help others in the company think of things that we're not thinking of as well. And that's how products get better. So I'm all for that." The only major challenge the app's creators have faced, Chen said, is getting their foot in the door. "Part of it is getting people to try it," he explained. "It's not always easy to convince people to make a change." Chen told CP that although he was raised in a Christian home, he didn't have a personal relationship with Jesus Christ until after he accompanied a youth pastor on an inner-city Christian mission trip to Nashville, Tennessee. Initially, he said he went on the mission to meet "cute girls" at church and to play sports, but his perspective quickly changed. "I went to Nashville and there were some missionaries out there who were living in the projects," he said. "I met these people who were so joyful, but didn't have anything. They were just serving, sweeping the floors everyday — just serving the community. I went home and thought, 'Wow. Joy doesn't come from these exterior things. It comes from something greater.'" The trip had sparked a thirst within Chen for something greater than himself. He said he knew that God existed, his parents had always instilled in both him and his brother that there was a God, and the family would pray together. Still, he lacked a personal relationship with Christ. After he returned from the mission trip he said that he began reading about major religions of the world, and that's when God really spoke to him. "I got saved out of being on that Christian mission trip," Chen said.